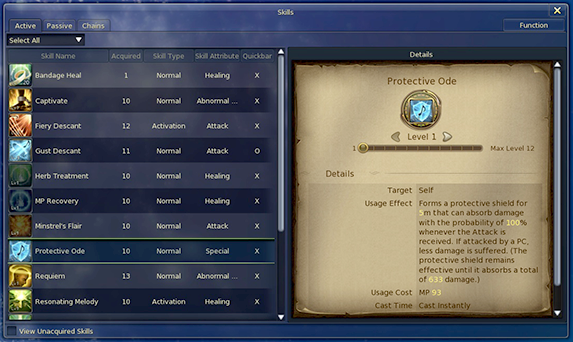 Recently Aion NA has shared the small preview of some incoming changes in the Skill UI. Take a look! In Steel Cavalry, skill books were eliminated, making training easier and faster for Daevas. 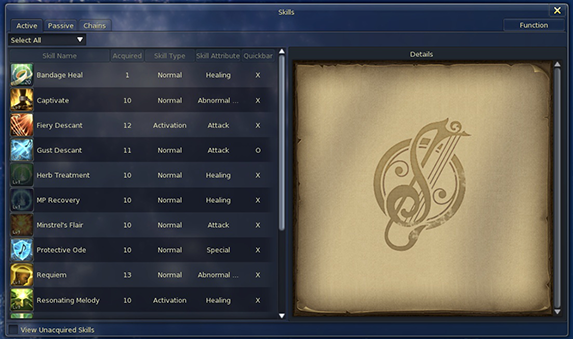 In Upheaval, the improvements continue: we are updating the Skill window interface and streamlining all class skills. As you level up, some of your skills level up too. In Upheaval, when a skill levels up, previous level versions of the skill will no longer clutter your skill window. It will continue to level up automatically and the highest level of the skill will update on your skill bar, if you have it placed there. Want to use a lower level of skill? Never fear! Each skill level can be adjusted in the skill Details window. With the slider, you can adjust the skill to a lower level and set it on your skill bar should you chose so. With this new interface, you can even preview the higher-level version of the skill too if you haven’t reached the required level yet! It’s a great way to see what you’ll soon be getting. Now that low-level skills will no longer appear in the skill window, you can view unacquired skills instead by checking the box at the bottom of the window. 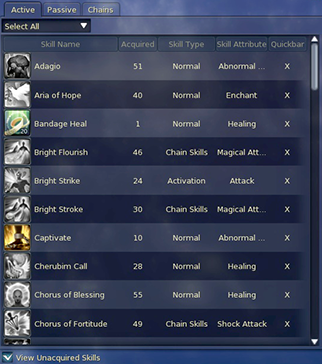 It will list all skills available to your class including Stigma skills. Skills you do not currently possess will appear greyed out. As you may have noticed, the Skill window is solely for class skills now. By clicking the Function button on the Skill window or Shift-K as the default hotkey, you will pull up the other character functionalities like actions, sign, craft skills and emotes. In Aion: Upheaval skills are changing for all classes. Many improvements will be made, including adjustments to cooldowns and MP costs, consolidating redundant skills, and removing subpar ones. Look for more detailed information on this as the release of Aion: Upheaval draws closer. 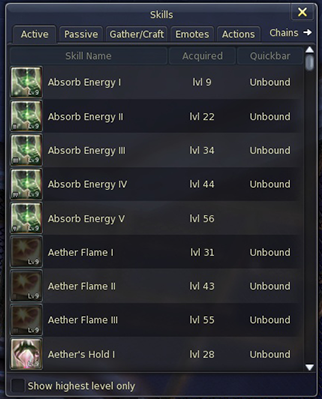 Source: Aion: Upheaval Skill Change Preview on Aion NA main page.